You know it. I know it. 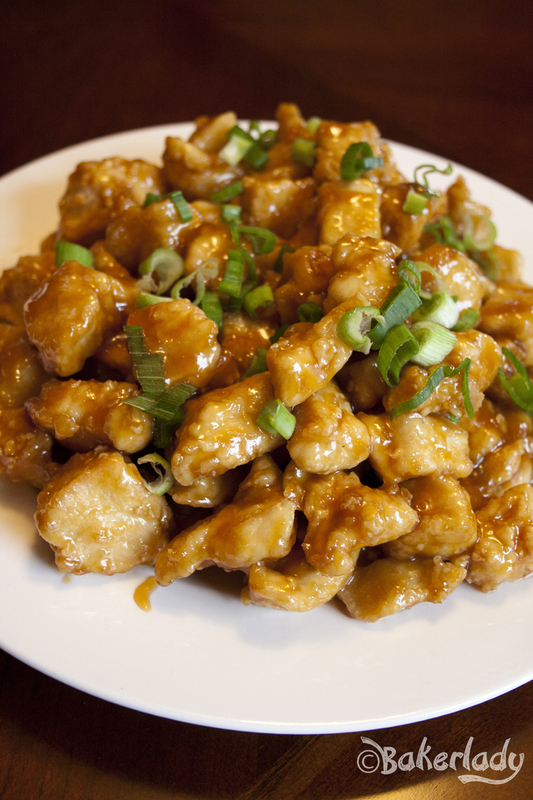 Orange chicken is absolutely delicious. This is not exactly earth shattering, breaking news. It’s tangy and sweet, with a little hit of spiciness. Mmmmm buddy. Try not to lick your screen. I suppose you could go grab some take-out. If you wanted a lame-sauce, is-this-actually-chicken(?) version. 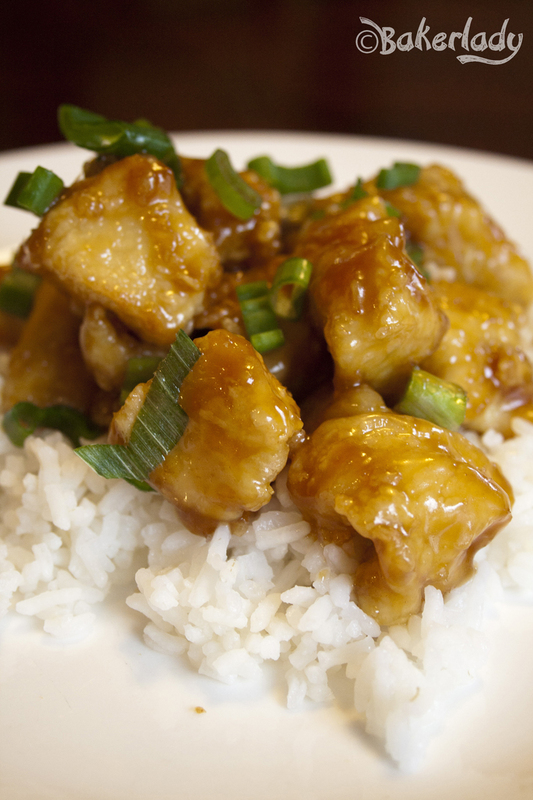 Homemade is absolutely the way to go if you want your concept of orange chicken knocked out of the park. Perfectly light crisp exterior absolutely drenched in rich sauce. I love this stuff. Every. Single. Piece. I updated this recipe’s instructions and made some adjustments to the ingredients, including doubling the sauce. Because…everything is better with more sauce. If I have to explain that to you, I’m not sure we can still be friends. Just look at the gloriousness of all that perfectly tender chicken. Piled high and swimming…no…basking in the golden orange sauce. Yum. It’s not a knockoff of Panda Express. It’s a knock OUT! Hi-yah! Combine egg, salt, pepper and 1 tablespoon oil and mix well, then dump over the chicken and stir to coat. Stir cornstarch and flour together in another bowl. In small batches, add chicken pieces to the flour/cornstarch mixture, tossing to coat lightly. Heat oil for deep-frying in wok or deep-fryer to 375 degrees. Add chicken, small batches at a time, and fry 3 to 4 minutes or until golden crisp. Heat 1 tablespoon oil in large skillet or wok over medium high heat. Add and stir-fry crushed chiles and rice wine and stir 3 seconds. Add Orange Sauce and bring to boil. Heat until sauce is thickened. 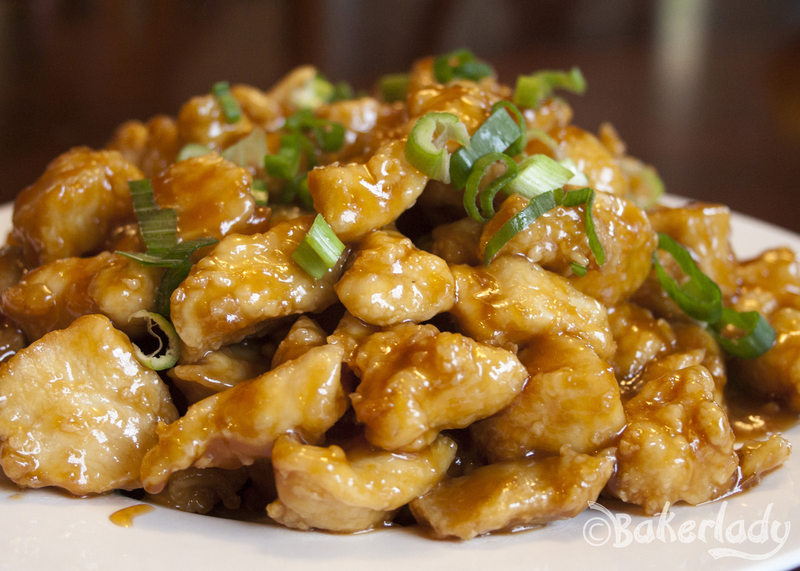 If needed, stir water into remaining 1 tablespoon cornstarch until smooth and add to sauce to thicken. Stir in sesame oil and orange zest if desired. Add cooked chicken, stirring until well mixed. Serve over jasmine rice. Top with green onion. Do you mean rice wine vinegar? As opposed to rice wine? The recipe actually calls for rice wine – which can be found at pretty much any grocer. But, you could probably substitute rice wine vinegar with great results.